As some of you noticed, some achievements are weirdly synced with new achievements for the upcoming final version of the game. This mainly happen before Gema wanted to delete some achievements and add other ones. He somehow only renamed and changed some of these, so everything feels out of place. Once the real version gets released (and achievements are fixed), I will be running a thorough update on all of the achievements and reset the syncing for everyone. Everything is prone to changes until the final version, so I'll wait until everything settles down. Updated achievement art for Happy New Year! Something big is coming for the final part of the Before Next Adventure DLC. Are you ready to ~nyan~ it up? Added SP bosses locations. [B] SP Irisu is the only one shown until the other fights get released. I took the liberty to edit some of the images used to show bosses on the map, namely SP bosses and Illusion bosses (Forgotten Cave II trial) to differentiate them from their normal counterpart. If someone is willing to share information on how to obtain all the new costumes and CGs, please do so on the Character ﻿page. We'll try to regroup everything in the same spot! Hello everyone! It's been a while (on here at least). 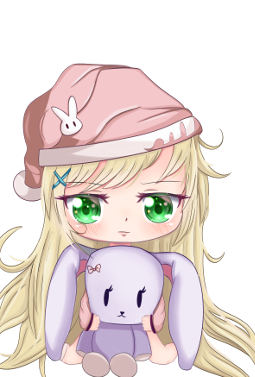 The very first rabidb art contest is now underway! It's a contest to determine the next featured mascot for the website (which you can see on the left side, in the menu). Miru still remains one of my favorite, but I think it's time to move on and make some space for "fresh" material. Time to make some space for Yuzu, the star of the game I'm working on! Drawing must feature Yuzu and another Rabi-Ribi character of your choice. You are free to choose pose for both character. Winner will be selected by a jury composed of some friends of mine. The author of the winning drawing will 75$ USD worth of commission by an artist of their choice. Ever wanted to commission an artist you liked, but didn't have the funds to do so, then there's your chance! To make it fair to everyone who participate, 3 random contestants will be selected at random to receive participating gifts. They will receive a key for Rabi-Ribi (base game + DLC). If you already have the game, spread the bunny love by gifting it to a friend! If you have any questions regarding the art contest, you can ask them in Direct Message on Twitter or Discord. 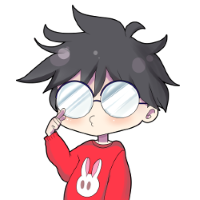 Make sure to join Rabidb's Discord﻿ if you haven't to follow the latest news on rabidb and the game I'm working on. If you ever need help with the game, you can find it there if website wasn't enough. There's also a bunch of fellow Rabi-Ribi fans that you can chat with too! As some may noticed, the amount of updates to rabidb has dropped considerably in the past few months. While it is safe to assume it was mainly because of my new job which is taking away 70 hours / week from me, there is also something else. Rumors have been going around lately as that there's something in the work for Rabi-Ribi, and all I can say for now is that I'm kinda involved in it. A lot of my free time goes into that project, and will be so for the next couple of months. No matter what happens, I will still continue to host the website for any future player, and update it whenever needed (if new game content is released, fixing some bug, etc). Everything's still in motion, but at a slower pace. Giving a huge shout out to Patreons who help keep the website up at all time !